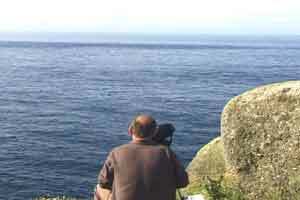 Birding Forum Well-known Cornish Birder Royston Wilkins scans for an Albatross from Gwennap Head , Porthgwarra ! The far west of Cornwall ranks as one of the top spots in the UK for seabird-watching , and dedicated birders spend hundreds of hours every summer and autumn - often in grim conditions - on the local headlands in the hope of catching a glimpse of a really rare seabird. 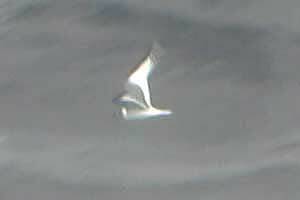 Soft-plumaged Petrel......South Polar Skua even...who knows ? Uniquely situated exactly at the junction of the English Channel and the Celtic Sea , Gwennap Head, Porthgwarra must be the site - regularly producing large counts of unusual seabirds and consistently turning up real rarities. Cory`s Shearwater- South-west Cornwall speciality , Porthgwarra is the top site , Pendeen and St.Ives Island can also produce in the right conditions. On the North Coast, Pendeen Lighthouse is the place to be ; and this site`s track record comes pretty close to Gwennap Head. St.Ives Island, further to the northeast, is also a hotspot in the right conditions. The main requirement for successful seawatching - other than patience - is a good understanding of the weather. The prime time generally is during or just after onshore gales. Winds between southeast and west favour Gwennap Head ; between west and north favour Pendeen. Strong northwesterlies or northerlies entrap birds in the confines of St.Ives Bay, bringing St.Ives Island into its own. 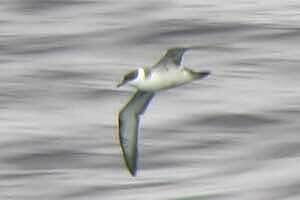 Gwennap Head has an exception to this in that , particularly in July and August, light southeasterlies can bring significant numbers of Cory`s Shearwater reasonably close inshore. 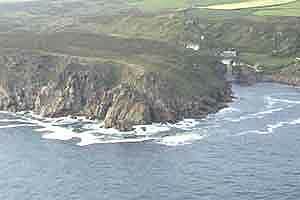 Cape Cornwall is a good vantage point , probably underwatched, and on `good Pendeen` days will no doubt perform. Access from St.Just , resonable amount of parking. Lands End is generally not so good (though worth a look). 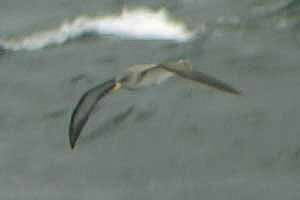 From the north, the birds seem to leave Cape Cornwall & the Brisons and move seawards, passing well offshore at Land End. Probably fair to say that if its good at Lands End, then you`re missing something pretty spectacular at either Pendeen or Porthgwarra !! From Penzance , take A3071 for St.Just. After Newbridge veer right onto B3318 for Pendeen. 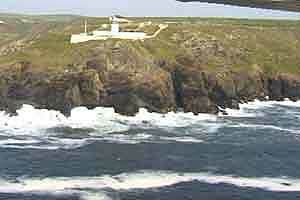 At Pendeen, go straight across cross-roads and down unclassified road to Pendeen Lighthouse. Reasonable amount of parking above lighthouse..